Bookkeeping is crucial to the success of your business. Clear financial records allow for better financial management of your company. Without proper management, you might not have a clear idea of how to minimize expenses for a lower cost of running your business, and your company could even go bankrupt. Here are 5 basic bookkeeping tips for owners of small businesses. Delayed and unpaid invoices hurt your cashflow which ultimately causes problems with running your business. Be vigilant about tracking your business invoices and do not allow clients to cause too many delays. For example, a good practice is to make sure that no new client orders transpire until they make the payment for the earlier order. Alternatively set deadlines with penalties for all clients to whom vendor credit is extended. 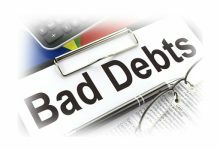 Allowing bad debts to pile up is not good for your business. It is essential to properly store all your financial records along with a backup for future reference. This means storing all the documents that are used in everyday business transactions. Make sure that you store all business bank and credit card statements, balance sheets, profit and loss statements and receipts / invoices for services or sales from your business. The importance of proper records that can be easily retrieved is paramount. It facilitates good financial management for your business and makes it easier to expand without getting lost in piles of unclear financial paperwork. Combining money borrowed by the business with funds from clients is a bad idea. It is a poor way to manage funds and can lead to business failure. Ensure that you record borrowed funds and income from clients separately for better tracking and financial management. Most successful entrepreneurs concur that weekly reviews of your books keep you regularly updated on the health of your business. It facilitates better management of cash flows and keeps you informed about your weekly expenses and current invoices. It lets you keep a finger on the pulse of your business. This periodic monitoring and evaluation allows you to quickly notice and analyze any issues as they arise, instead of getting an unpleasant surprise down the line. Another option to track the cashflow of your business is to get a business credit card that by default records all expenses. With a business credit card, lost receipts will no longer be a problem. Last but not least implement an accounting software that meets your business needs. It provides access to the financial status of your business at any point in time and can save small business owners a great deal of invaluable time. 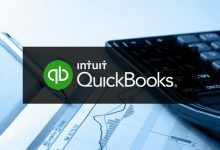 Most accounting softwares are relatively easy to learn and they can easily calculate all your business income and expenses. However, you should consult a trained accountant before actually going ahead with a software to get a clear picture of what you are in for. Some softwares could prove too complex. When deciding which software to use, it is a good idea for small business owners to pick a software that is reliable, user-friendly and easy to use. 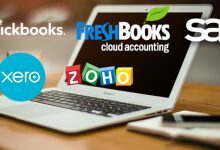 With these 5 tips to steer you in the right direction, you can ensure that your bookkeeping practices allow for good financial management of your business.